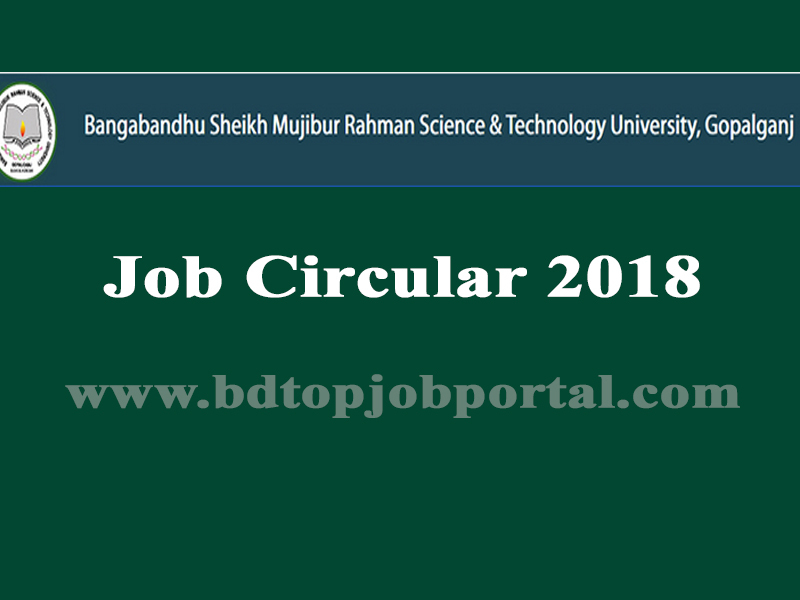 Bangabandhu Sheikh Mujibur Rahman Science & Technology University (BSMRSTU), Gopalganj Job Circular 2018 has been published in The Daily Star. 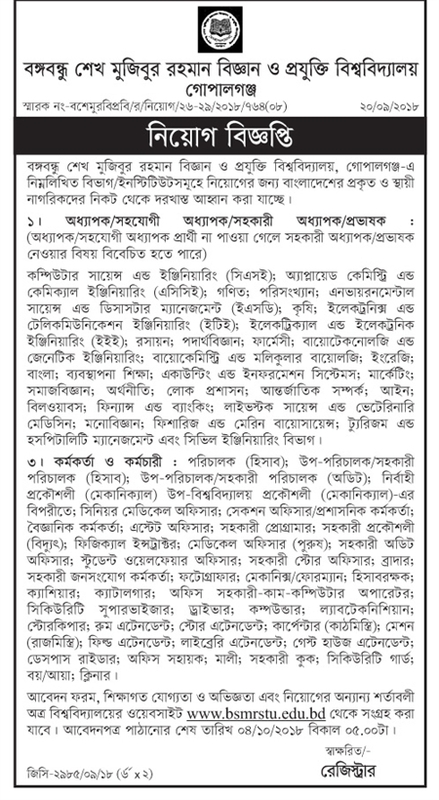 Bangabandhu Sheikh Mujibur Rahman Science & Technology University (BSMRSTU), Gopalganj total 4 posts are various vacancies are appoint. Bangabandhu Sheikh Mujibur Rahman Science & Technology University (BSMRSTU), Gopalganj Job Circular 2018, bd jobs today, new government job circular, today bd job circular, new job circular bd, bdjobstoday ngo, today govt job bd, bd new job circular, new bd job circular, today government job circular, all job site in bd, new govt job bd, bd job today govt, bd jobs govt today.